Tassels are such an easy way to add an element of style to your space. They are a chic statement that instantly dress up curtains, lamps, doorknobs, dressers… the list goes on. Feeling inspired by my latest finds, I decided that my “new to me” dresser (once painted) will definitely need some tassels. 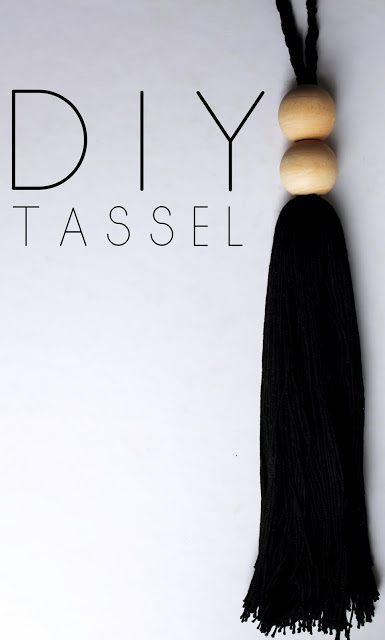 Here is how you can make your own chic tassels for less than $5 for BOTH!!! I suggest using Nylon Crochet Thread (if you can find it) mine was made with Cotton. The Nylon will keep the threads from sticking to each other. 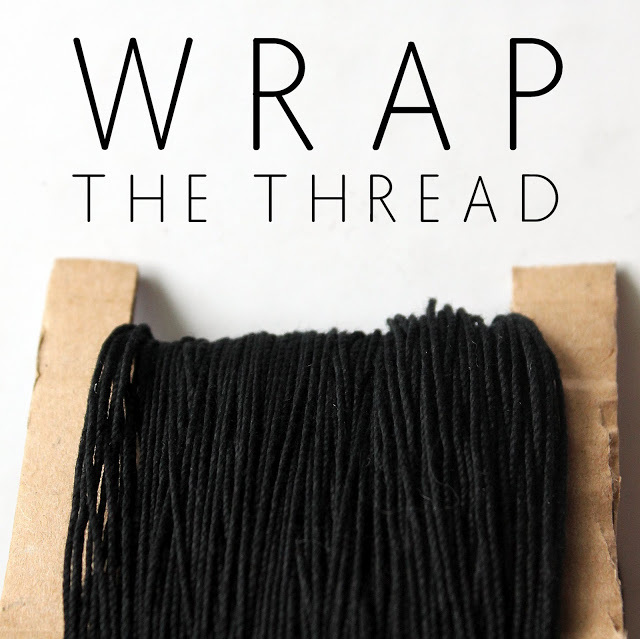 Wrap your thread around your template until you get to your desired fullness. If you are questioning if it’s thick enough… keep wrapping! The fuller the tassel, the richer the look. 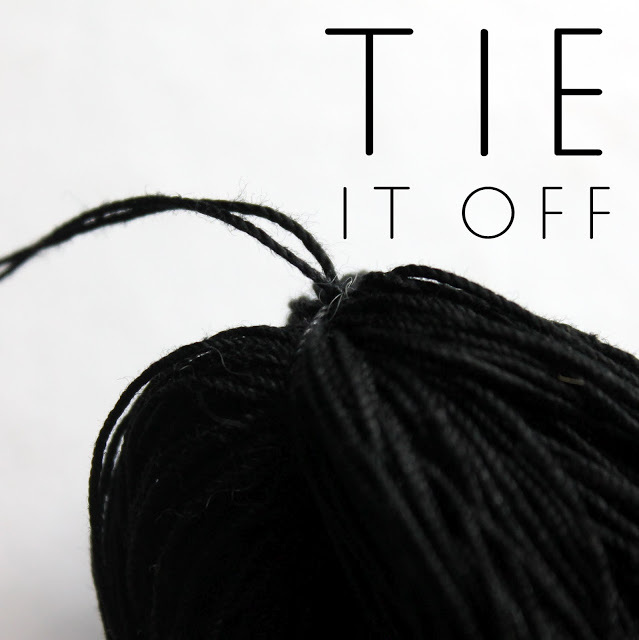 Once you have your desired fullness, take an extra length of thread & tie off one of the ends. 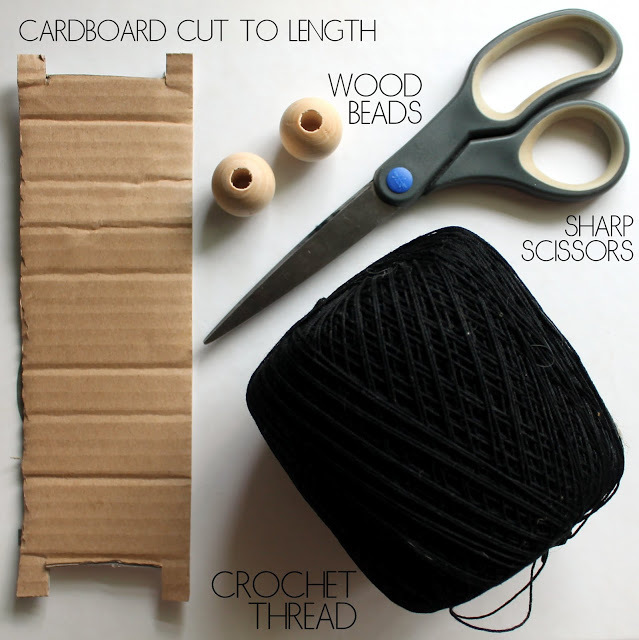 Take your sharp scissors & cut the bottom loop. Trim your bottom of any longer strands. 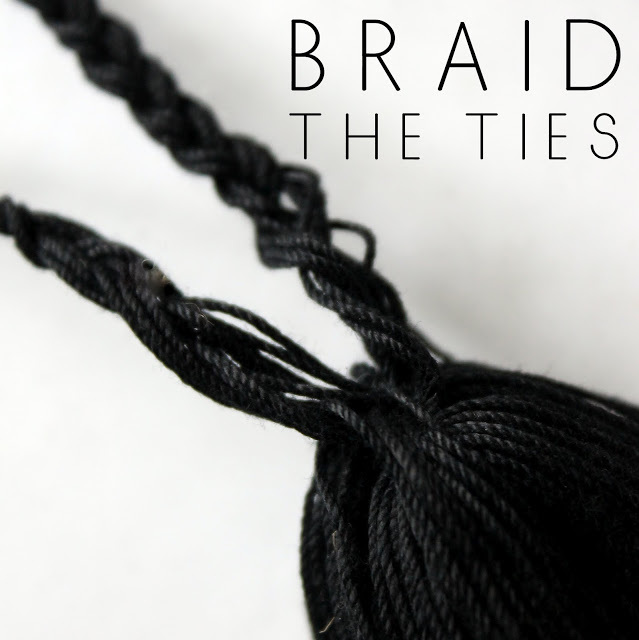 Once you have tied off your braids, simply run your beads through & tie a knot. 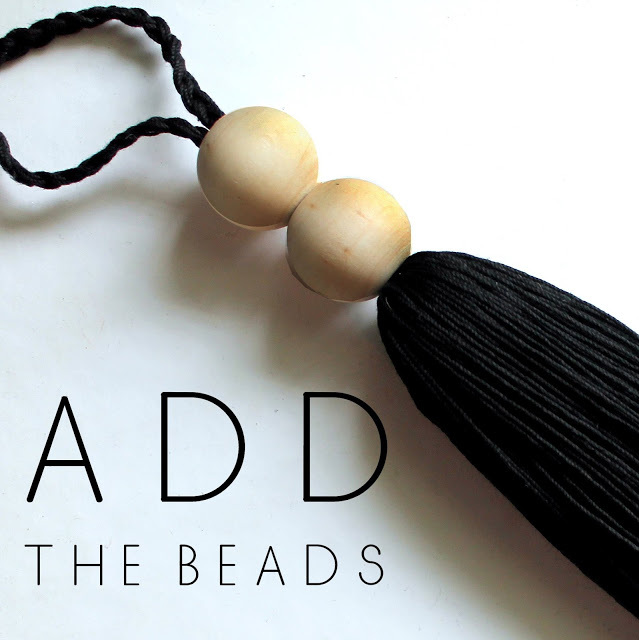 The knot then slides into the top bead. & that is it!!! Your possibilities are endless, given colors, beads, length, fullness. I can’t wait to get the dresser painted so these babies can have a new home! Thanks for the idea. I will be making these!! great tutorial! I have the perfect peice to add them to…is there a certain size ball that you used? I think I will paint and distress the ball.